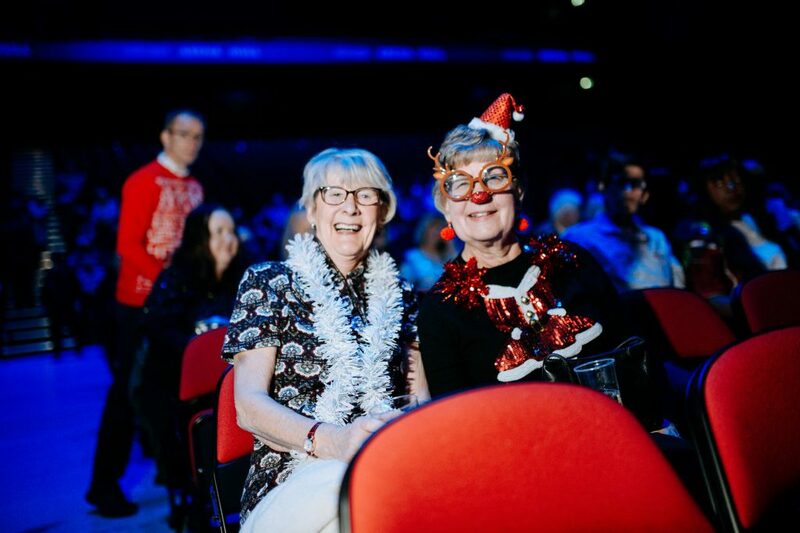 A Christmas party like no other, this week Hull’s iconic Volunteer army swapped their blue coats for festive sparkles and a front row seat at Hull’s newest cultural venue, the Bonus Arena. For the first time, each and every one of Hull’s 2,000-plus City of Culture Volunteers were invited to gather under the same roof to celebrate and what a night it was. Volunteers came together for the one-off event to be entertained by award-winning illusionists, comedians and singers not to mention Hull’s favourite dancers the Ruby Red Performers from Britain’s Got Talent. Shaun Crummey, Head of Volunteering at Absolutely Cultured, said: “2017 was only the beginning for Hull’s blue-coated army of City of Culture Volunteers. This year their journey has continued as part of Absolutely Cultured, completing 600 shifts each week, which equates to more than 2,400 hours of volunteering. “Our Volunteers continue to sing about our great city, spreading their infectious energy and magic across Hull. A Christmas party in an arena, with an action packed line up we couldn’t think of a better place to bring everyone together to celebrate and say thank you. If you are interested in becoming a City of Culture Volunteer, applications are now open. Sign up at www.absolutelycultured.co.uk/volunteering for an extraordinary 2019. Be the first to comment on "City of Culture volunteers celebrated at winter event"